Imagine a world where this doesn’t just happen at the Olympics, but in all aspects of life – even Church! I think all of you have probably seen this photo from last week. New Zealand athlete Nikki Hamblin fell four and a half laps into the race on Tuesday, accidently tripping up America’s Abbey D’Agostino with around 2,000m left to run. 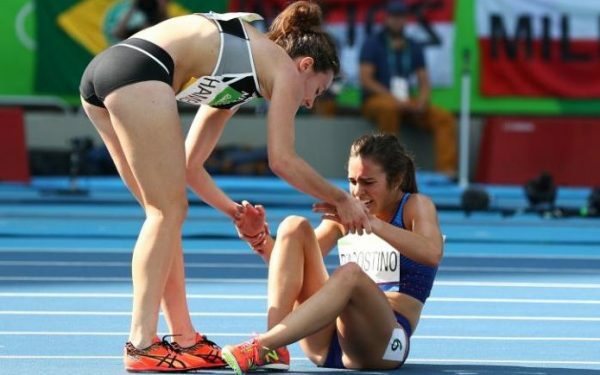 D’Agostino, 24, quickly got back up, but, rather than carrying on with the race, she stopped to help her fellow competitor who remained on the ground and appeared to be crying after falling hard on her shoulder. …D’Agostino helped Hamblin back on to her feet but had injured her leg in the accident. Refusing to quit, D’Agostino ran the rest of the race with what appeared to be a right ankle injury, while 28-year-old Hamblin stayed by her side to help her continue. Hamblin later finished in 29th place, one ahead of D’Agostino who limped across the finish line. 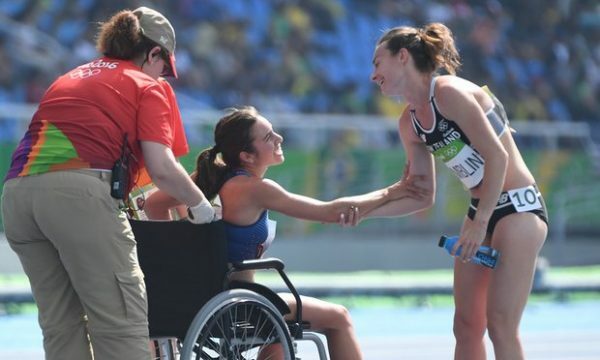 The pair embraced at the finish, before D’Agostino was taken from the track in a wheelchair. This story has gotten a lot of press. Many people have cited this as the spirit of the Olympics. The helping of a fellow athlete truly is inspirational. May this spirit become contagious in all we do – religion, politics, class, gender, race – everything! This Is Also the Christian Spirit! What is so refreshing about this story is it’s a story of one human helping another. It’s not about the worst of humanity. There were no personal agendas. D’Agostino wasn’t expecting anything in return. It was simply about helping a fellow athlete. It’s this spirit that should infuse every aspect of a Christian’s life. In other words, St. Paul is telling us to be like D’Agostino, asking us to slow down and help our brother or sister who needs us. He then gives Christ as an example of someone who humbled himself to raise us up. 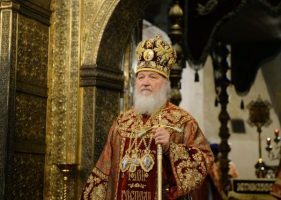 As the third person of the Trinity and divine, it was unfitting for Christ to take on human flesh and die a miserable death. Yet, out of love, he did that for us! As a result, Christ’s death destroys death and we are offered a renewed life. We are a new creation with a new way of living. Christ humbled himself to raise us up. 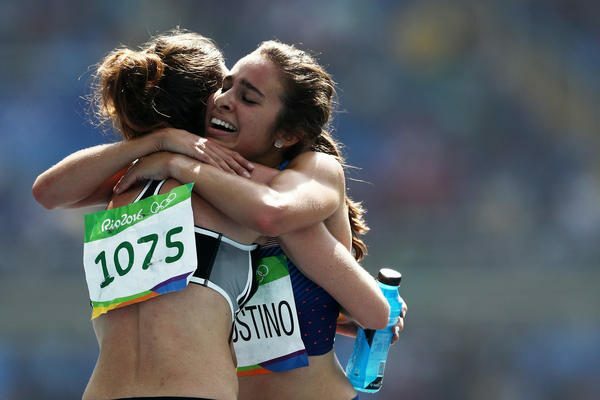 D’Agostino humbled herself to raise up her fellow athlete. Humbling ourselves to raise up our neighbor is what the Christian life is all about. Imagine a world where we all stop to help one another! Imagine a world where we work together to overcome our differences. Imagine a world where we listen instead of constantly interjecting our opinions. Imagine a world where we strive to empathize* with others. We don’t have to give up who we are. We don’t have to give up our values, or our way of life, but we should work to build up our neighbor – even if their values differ than ours. This message is transformative and it’s what the Gospel is all about! 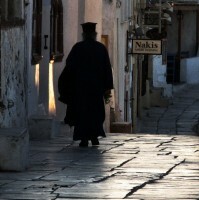 *Emphathy is retaining our own integrity but identifying with others, which is what we want to do. 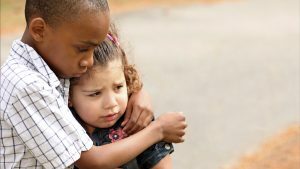 Sympathy is giving up our own integrity to identify with others.